In order to fulfil the election promise of making Aizawl a traffic jam free city if Mizo National Front (MNF) comes to power, party president and Mizoram Chief Minister Zoramthanga launched a new scheme called Parking House Support Scheme (PAHOSS) on Wednesday. The Mizoram CM hopes the scheme, which focuses on construction of parking space at various locations within the Aizawl city by means of incentivising private, recognised NGOs and local councils having suitable land and building will aid in decreasing traffic congestion in the city. “With this scheme, we can hope for Mizoram to have one of the lowest record of traffic jams,” said the Mizoram CM. The launching event was held at the Chief Minister’s conference hall where Zoramthanga explained that while the existing number of parking areas in Aizawl city has maximum capacity of approximately 4,500 vehicles, the actual demand crosses 18,000. He believes the solution to this problem is a comprehensive and systematic provision of parking in the city. Under PAHOSS, assistance will be given in the form of grant-in-aid for construction of car parking at the rate of Rs 1.00 lakh per every light motor vehicle or every six two-wheeler. Private, recognised NGO or local council land owners, who are willing to construct parking space for a minimum of 5 light motor vehicles (LMVs) will be eligible to receive the assistance as a grant-in-aid. The UD&PA department will be the nodal agency for this scheme. With the number of vehicles rising rapidly each year, the small hill city of Aizawl has been facing acute traffic problems as the narrow roads which are often used to park private vehicles leave little space for two more cars to pass each other. 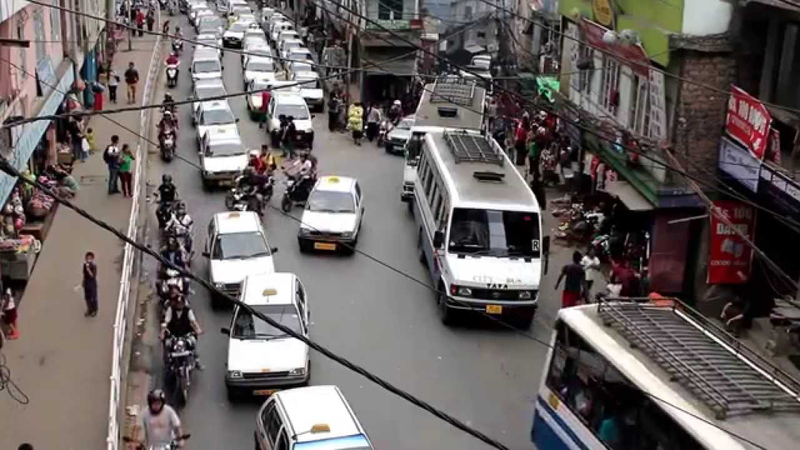 According to the Aizawl Traffic police, more than 80,00 vehicles are operating on a daily bases in Aizawl. In his election campaign address, the Zoramthanga had said they would construct flyovers and parking lot areas in several locations to decrease the traffic congestion in Aizawl. He had spoken about the intention to construct a two-storey flyover in the current Assam Rifles area by relocating Assam Rifles office from Aizawl to Zokhawsang.